It would be a mistake to attribute this tightening to the debate performance at this time, although it is a possible explanation. The effects of the debate, if any, should be evident in tomorrow’s numbers. In fact, tomorrow‘s numbers will be the most important of the campaign as they may tell whether this race is headed to a clear conclusion or still too close to discern. 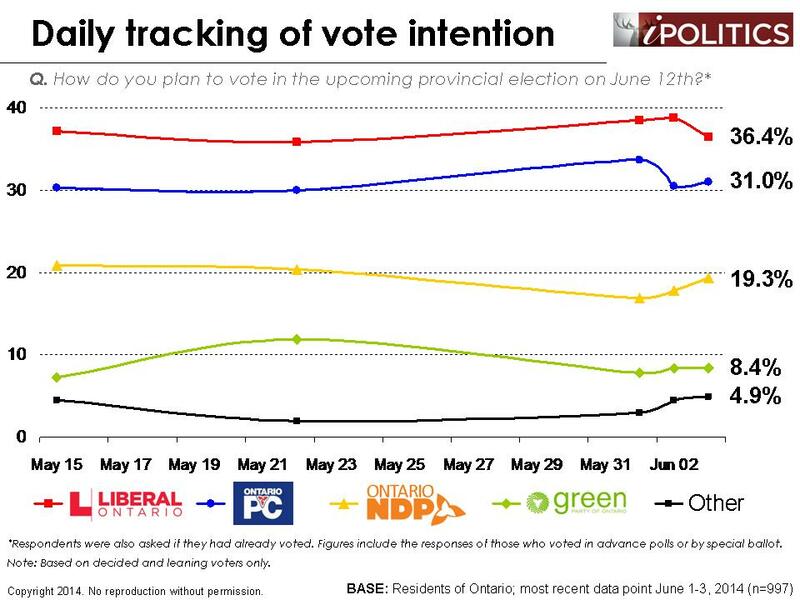 From today’s inconclusive results, we can’t say much more than the race has tightened and we will have to see if this is a real shift or a blip tomorrow. Notwithstanding the odd blip, most of the demographic patterns have remained fairly stable throughout the campaign. In three of our four post-writ polls, the Progressive Conservative Party has held a clear advantage with seniors. 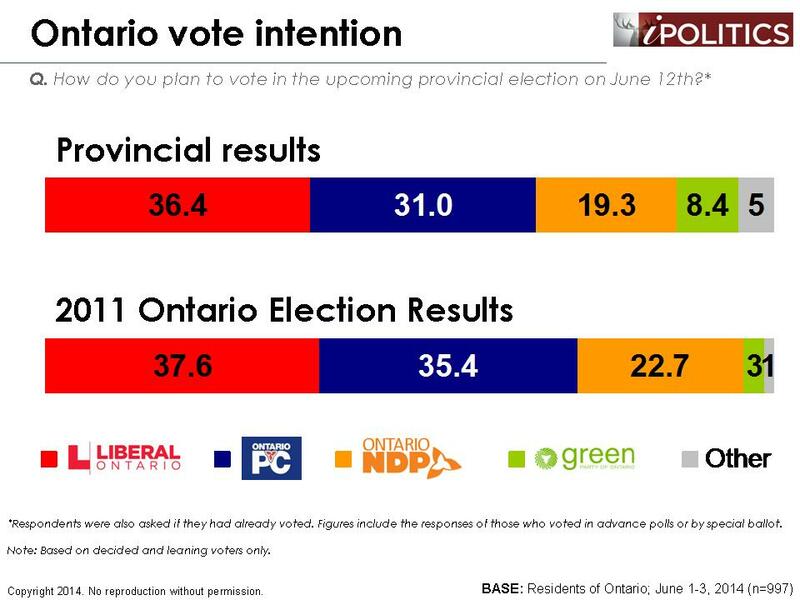 Meanwhile, the Ontario Liberals have enjoyed a similar lead with those ages 45-64. 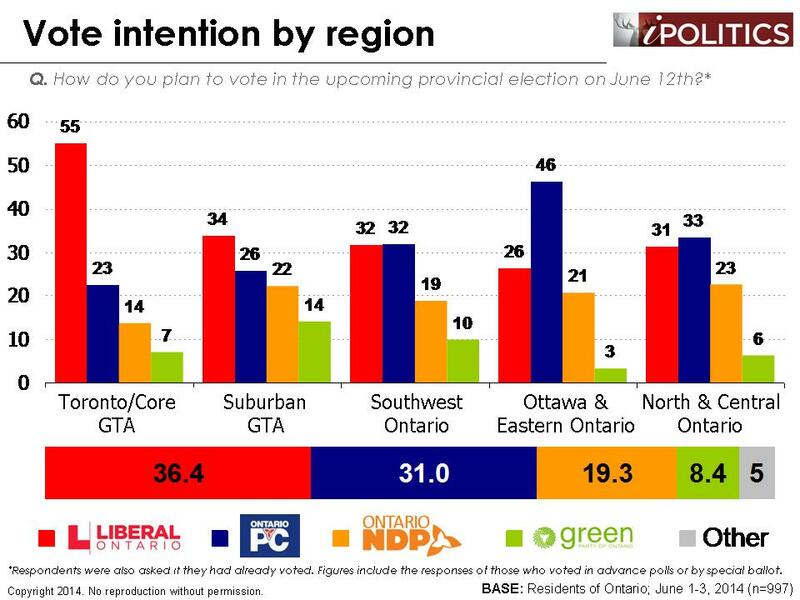 Ontario’s younger voters, however, have yet to find a home in any of Ontario’s major political options and they seem to jump unpredictably from party to party. 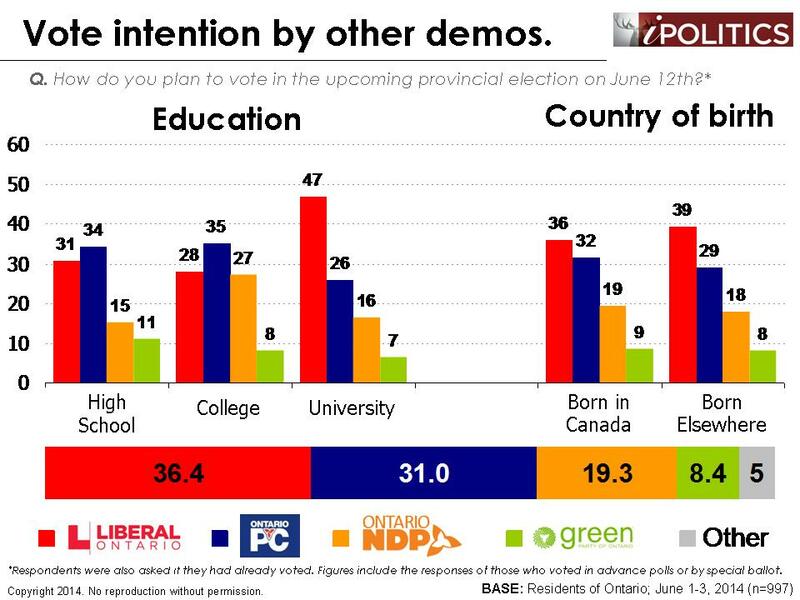 Indeed, last night’s drop in Liberal support is due almost entirely to a rather abrupt Liberal-to-PC shift among those under the age of 45. The exact reasons for this seemingly capricious behaviour are unclear. It could mean that younger Ontarians are simply disengaged from the political process in general. Alternatively, it could be a reflection of some frustration with our leaders’ inability to connect with and adequately address the needs and concerns of Ontario’s young people. Whatever the reason, the day-to-day shifts in the polls should be taken with a grain of salt. The groups with the highest propensity to actually show up to the polling station – those ages 45 and up – have remained firmly committed to their party choice throughout the campaign. The movements have largely been isolated to those who are left so uninspired by their party options that they often opt out of the political process altogether. The field dates for this survey are June 1-3, 2014. In total, a random sample of 997 Ontario residents aged 18 and over responded to the survey (including a sub-sample of 794 decided voters). The margin of error associated with the total sample is +/-3.1 percentage points, 19 times out of 20.